Dorothy Kathleen Wiltshire was born on 9 July 1898 in Hoyleton, South Australia , daughter of Joseph William Wiltshire and Florence Elizabeth Cannell. She died on Thursday, 26 January 1899, aged 6 months and 17 days, in Hoyleton, South Australia . 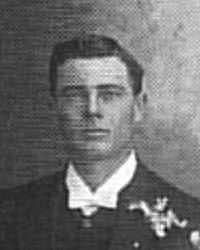 Alfred Thomas Wiltshire was born on 21 September 1899 in Hoyleton, South Australia , son of Joseph William Wiltshire and Florence Elizabeth Cannell. Mary Ann McCargill was born about 1855. About 1881, Mary, married George Cannell, son of Thomas Rackham Cannell and Mary Haines. About 1907, Thomas, married Annie Amelia Sherlock, in Perth, Western Australia . He died on Friday, 5 June 1942, aged 59 years, 11 months and 13 days, in Perth, Western Australia . Stephen James Milton Cannell was born on 4 September 1884 in Brompton, South Australia , son of George Cannell and Mary Ann McCargill. On 21 December 1910, Stephen, aged 26, married Mary Ann King, aged 20, daughter of Samuel King and Annie Maria Cosstick, in Chuch of the Good Shepherd in Bowden, South Australia . Howard Percy Harold Cannell was born on 23 January 1887 in Hindmarsh, South Australia , son of George Cannell and Mary Ann McCargill. Alan Edgar Cannell was born on 19 April 1889 in Hindmarsh, South Australia , son of George Cannell and Mary Ann McCargill.